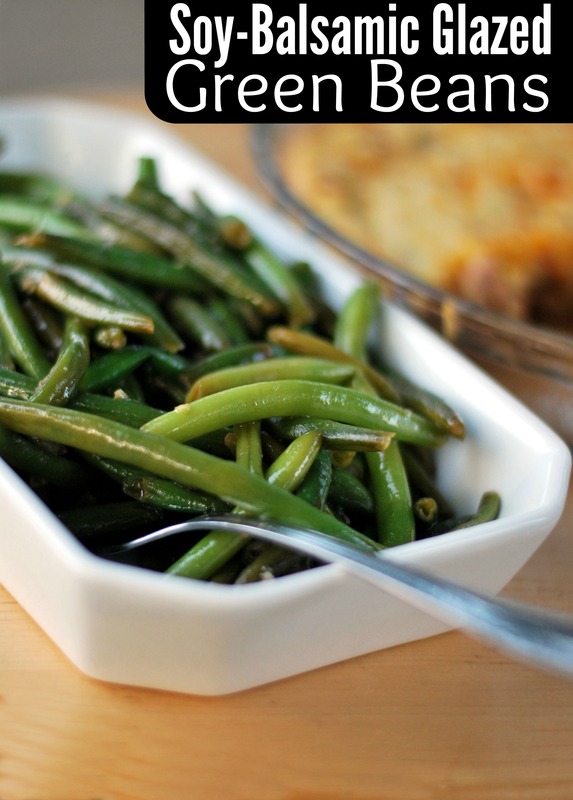 I made these Soy-Balsamic Glazed Green Beans the other night and my kiddos were fighting over the last of them! They are that good! Took less than 20 minutes from start to tummy 😉 Give them a try and see what you think! Melt butter in a large skillet over medium heat. 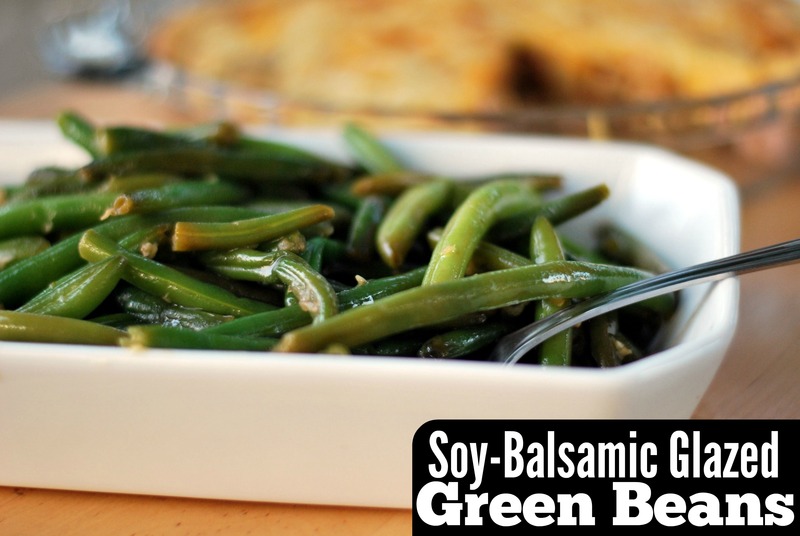 Cook green beans until they start to brown slightly, (about 15 minutes) Add minced garlic, stirring constantly for 2 more minutes. Toss with soy sauce, balsamic vinegar and cook until liquid cooks out. Taste to adjust seasoning. Enjoy!